After recording the warmest January since 2012, the national capital received light rainfall Monday evening, which was followed by very heavy rains early Tuesday. 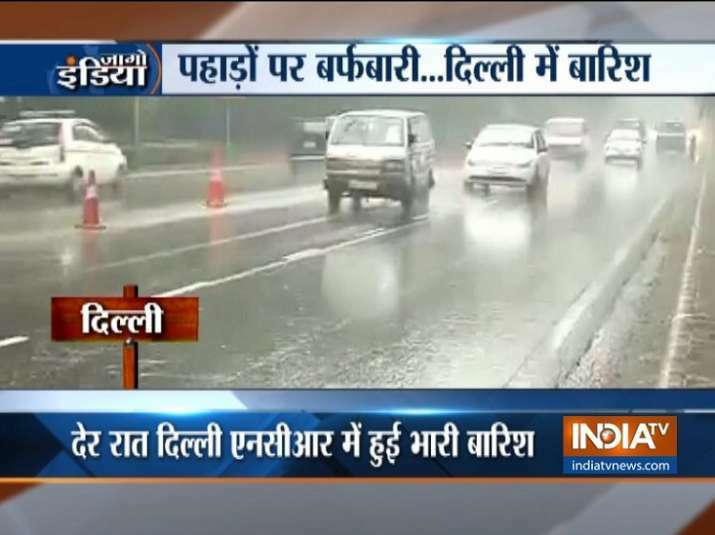 Water-logging and long traffic jams was reported from many areas in Delhi due to heavy downpour. Other than Delhi, heavy rainfall was also received in Ghaziabad and Noida regions, which also brought an improvement in the air quality of the national capital.